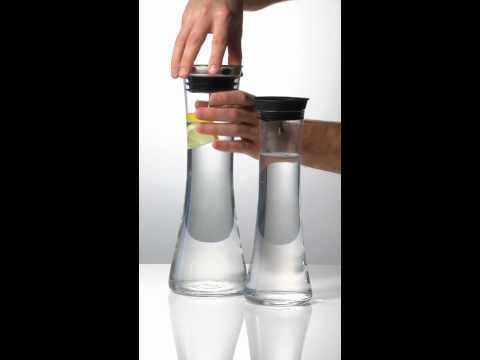 The Menu water jug is not only elegant, but it also has a special top which opens automatically while pouring the water. No foreign particles can get into the jug and no ice cubes, lemons etc. will come out. 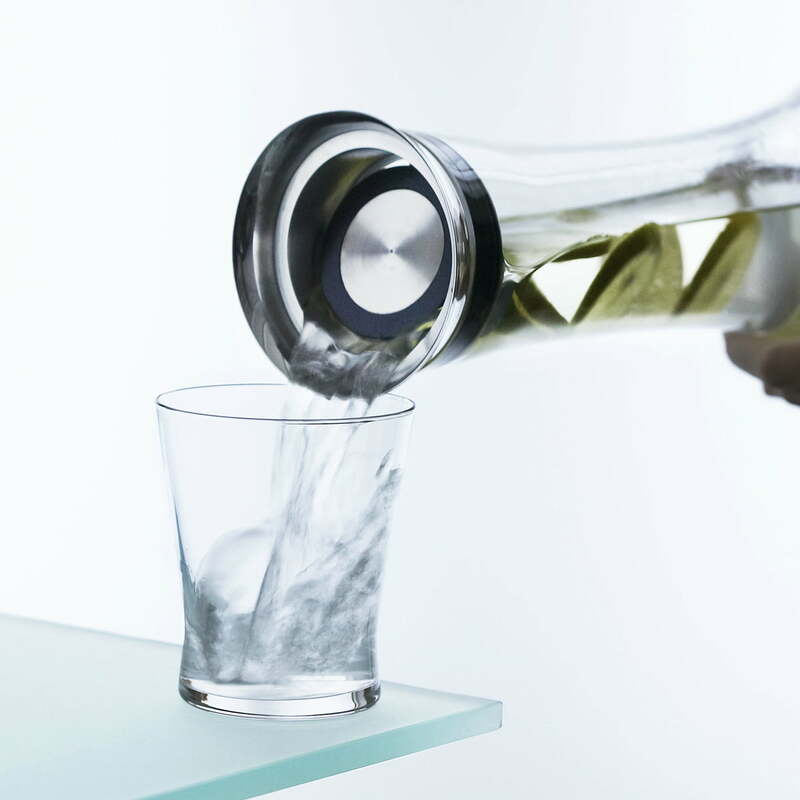 Ice-cooled water directly from the fridge on to the table: with the long, slim glass 0.8 l carafe from Menu this won't be a problem. The smaller edition is designed to fit in every conventional fridge. Available in a larger model with a capacity of 1.3l, the jug is simple and elegant, and can be placed directly on the table as soon as guests arrive. 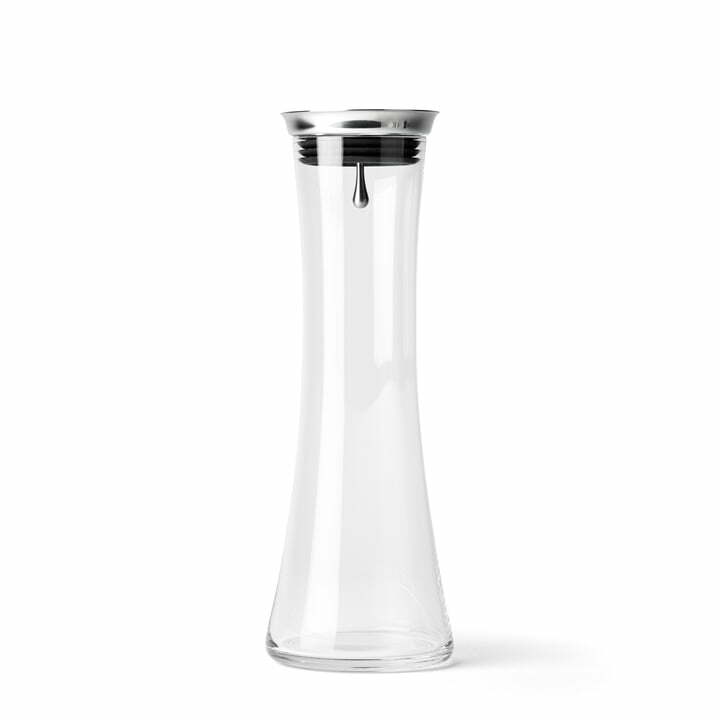 The tapered shape of the carafe ensures a good grip and the lid opens automatically when water is poured. Thanks to this clever mechanism, no ice-cubes, lime slices, mint leaves and other tasty ingredients will come out, and no foreign particles can get in: perfect for the outdoors! The jugs by Menu, designed by Pil Bredhal, are dishwasher safe. The handling and the functions at a glance: the Menu water jug’s main features are its easy handling and drip-free usability. See for yourself and serve your guests with this Scandinavian design. 5 of 5 customers have found this review helpful. 4 of 4 customers have found this review helpful. 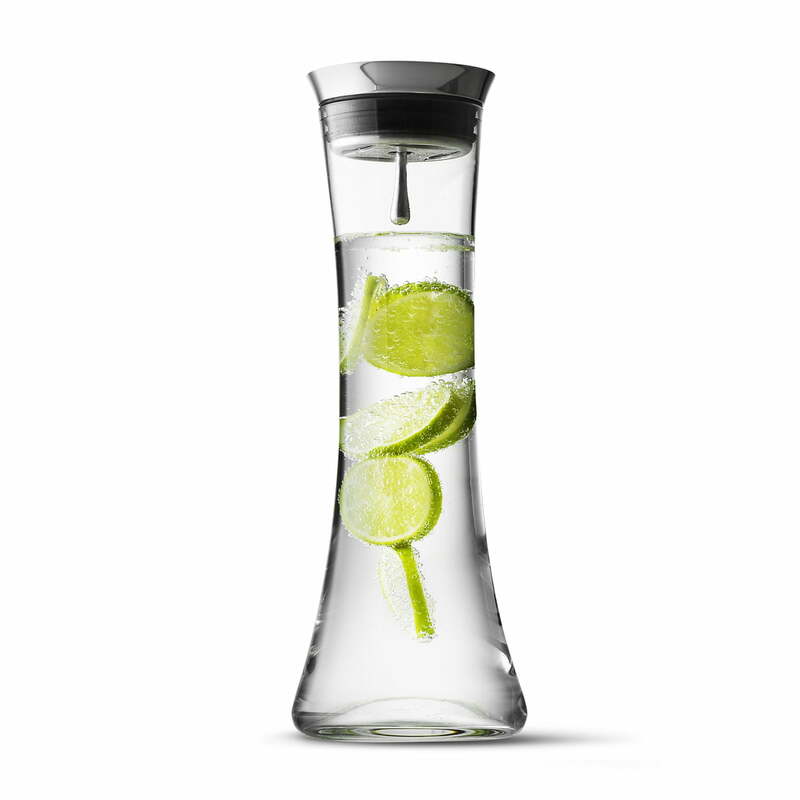 This wonferful water carafe from Menu is the must have item for summer season. Already purchased several of these and would gladly recommend this article. 3 of 3 customers have found this review helpful. Reasonable price, nice design, Good Quilty. 170 of 338 customers have found this review helpful. thank you very much!! Thumbs way up for your great service. Reasonable price, nice design, Good Quilty. i will definately shop with you again. 1 of 2 customers have found this review helpful. 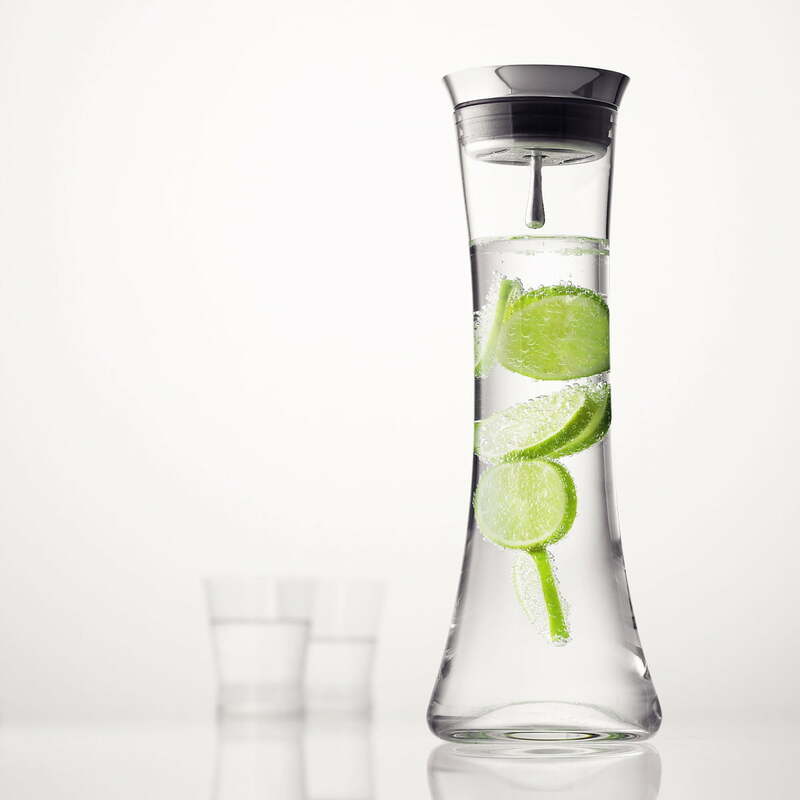 Beautiful water carafe from Menu. Its pouring mechanism is very simple but smart. It is the perfect size for a larger group. Thanks Connox for the great price and quick delivery.